Upon termination of an employee without cause, an employer has the discretion to provide working notice or pay in lieu of notice. Often, employers opt to give pay in lieu of notice but in various circumstances, employers may decide to have the employee work until their final termination date or to do a combination of the two. All of these options are viable, but what happens if the employee is not able to work due to medical reasons? Recently, this issue was addressed in McLeod v. 1274458 Ontario Inc., 2017 ONSC 4073. The judge held that, since the employee was incapable of working when he received his notice of termination, he was entitled to receive the salary he would have earned had he worked during the notice period. In other words, working notice does not apply to employees who are on disability leave. The Plaintiff had worked for Frontier Sales for approximately 18 years. At the time of his termination, the Plaintiff was 43 years old and worked as a driver and mover. The Plaintiff was involved in a non-work related car accident and subsequently took an unpaid medical leave of absence. The Plaintiff provided Frontier Sales with a medical certificate indicating that he would be unable to work due to knee pain and PTSD from the accident and set out an expected return to work date. While on leave, he was sent a notice of termination and was advised that the company would be shutting down its operations in six months from that time and his termination would be effective on the same date. The Plaintiff was further advised that the period from the receipt of the letter (January 31, 2016) to the date of closure (July 31, 2016), would be considered working notice, during which he would receive his regular wages only if he was physically able to return to his previously-held position. On his expected return to work date, the Plaintiff went to see his doctor as his pain had not improved. He spoke with his employer and they requested further medical documentation. The Plaintiff obliged and provided a letter from his new doctor that indicated that he would not be able to work until further notice. The employer was not satisfied with the medical note and requested further information and warned the Plaintiff that he may be terminated for cause if it was not provided by a specified date. The Plaintiff did not provide the requisite information by the specified date but he was not fired. Shortly before the company closed down, the Plaintiff was cleared for light duties by his doctor and worked two shifts in a less strenuous position that had been offered by Frontier Sales. He then found a comparable job elsewhere about three months later. Three months later, the Plaintiff began working a comparable job elsewhere at a comparable salary. So what should have been the period of notice provided to the Plaintiff? The Ontario Superior Court of Justice found that the Plaintiff was incapable of working during the notice period as he was on a medically supported leave of absence. Accordingly, he was entitled to damages for the salary he would have earned had he been able to work. The Court affirmed that employers should not apply working notice to employees who are incapable of doing just that: working through their notice period. In determining the length of the notice period, the Court considered a number of factors including, but not limited to, his length of employment (18 years), his position (mover), and the fact that he had no special training or qualifications. Although, the Court also noted that lower skilled employees have a more difficult time finding employment in today’s market, which essentially means these types of employees should get a longer notice period to account for that, the Court ultimately decided that the appropriate notice period was 12 months. The character of the plaintiff’s employment is for the most part one of physical labour…. Even if the plaintiff could be considered a low level unskilled employee, it does not mean that he would necessarily have an easier time finding alternative employment than would a person in a managerial position. It has been held that the character of employment as being one of a rather low level is today a factor of declining relative importance. The Plaintiff in Drysdale was 58 years old and had worked approximately 23 years. The Court awarded him 22 months for notice. As the Plaintiff was able to find comparable employment within three months of his termination, these three months were deducted from the 12-month notice period determination. Ultimately, the Plaintiff walked away with 9 months’ base salary in lieu of notice and a new job. 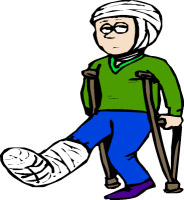 It is very important for employees to paper themselves while on medical leave. Employees should make regular visits with their doctors to obtain updated documentation regarding the nature of their illness, ability to work with or without accommodations, and expected return to work. Employees should listen to their doctor’s advice on their readiness to work and not feel pressured to return to work prematurely to work out their notice period. That is not the standard that the law requires and companies would be ill-advised to impose such a burden on their employees. As there are many considerations that should be taken into account when terminating an employee while on a leave of any kind, including pregnancy, employers should always seek advice from a lawyer first to avoid a costly mistake later on. Working notice does not apply when an employee is incapable of working. Had Frontier Sales offered the Plaintiff with notice of termination when he was capable of returning to work, rather than working notice, they would have only had to compensate the Plaintiff for three months’ worth of damages; the time it took for him to find a comparable job. If you have been terminated from your employment and have been provided with working notice you are unable to complete, contact Monkhouse Law today for a free 30-minute phone consultation to discuss your rights! About the Author: Busayo Faderin is an associate lawyer at Monkhouse Law where she practices Employment, Human Rights and Disability Insurance Law. Busayo can be reached at busayo.faderin@monkhouselaw.com.